Random Acts of Music: Awesome Acoustics! 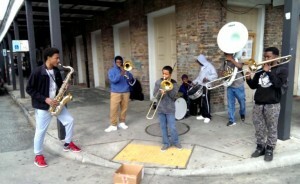 As you can probably already tell, the French Quarter is the Heart of New Orleans Music. 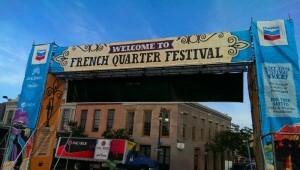 But not only is the French Quarter known for its musicality, but it’s also physically built for it. 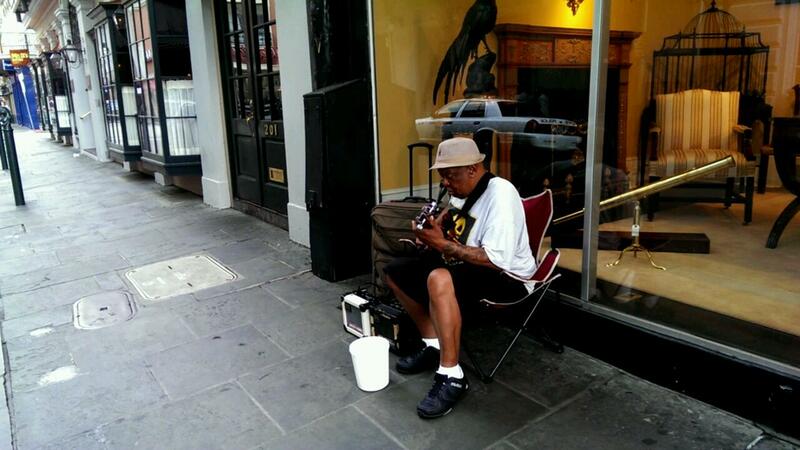 Walk down the streets of the Quarter and once you catch those Random Acts of Music, you’ll be pleasantly surprised at how Awesome the Acoustics are. 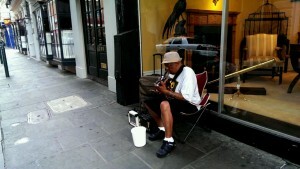 It makes you feel as if the French Quarter is one big concert hall. Enjoy the musical sounds and vibrations that flows, echoes, and thumps with all the energy you’d get in a lively concert. 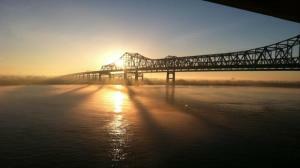 In today’s Random Acts of Music, I heard the plucking of guitar strings bouncing off the walls of buildings towering over me on a fresh morning stroll down Royal Street. The man was in his element as if nothing else surrounding him existed and the only thing left was his music and the Awesome Acoustics. French Quarter Fest Singing in the Rain!